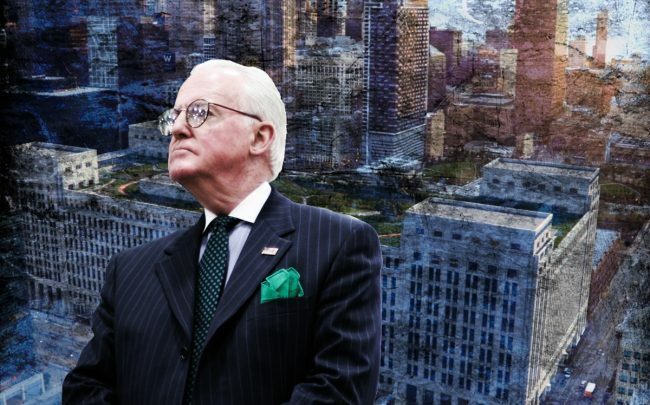 Even with a federal probe into his mixing of politics with his property tax appeals business, Alderman Ed Burke extended his reign as the city’s longest-serving alderman. With all precincts reporting, Burke had 54 percent of the vote, enough to win the election outright in his race against 28-year-old Tanya Patino, a civil engineer who had 30 percent of the vote, and lawyer Jaime Guzman, who had 17 percent of the vote. The man who’s led the 14th Ward for 50 years faced one of his biggest re-election battles to date, partly because his Southwest Side ward is increasingly Latino and becoming more progressive, making his work to lower the Trump Tower’s tax bill politically dicey. But it was his recent arrest and federal corruption charges that upended City Hall on the eve of an election and put his re-election effort in jeopardy. In late November, FBI agents executed search warrants on Burke’s City Hall and ward offices. Later, it was revealed that the investigation was aided by Alderman Danny Solis (25th), who wore a wire to collect evidence against his colleague. Solis cooperated with federal investigators after being found taking favors for developers in exchange for backing their interests. After his outing as an FBI mole, Solis stepped down from his powerful perch as chairman of the city’s Zoning Committee. The scandal cast a pall over Tuesday’s election, and has caused the practice of aldermanic privilege to come under further scrutiny. Since news of the scandal broke, companies like Related Midwest and Sterling Bay dropped Burke’s law firm, Klafter & Burke. Burke has denied any wrongdoing and was fully committed to his re-election campaign, holding fundraisers and appearing at public forums. Despite the damning allegations and active investigation, Burke still was viewed as an overwhelming favorite. Patino was seen as the most likely to knock off Burke. She had the endorsement of U.S. Rep. Jesus “Chuy” Garcia, whose support of Aaron Ortiz helped him defeat Dan Burke, Ed Burke’s brother, in his re-election bid for the Illinois House of Representatives. Ortiz is Patino’s boyfriend, according to the Chicago Sun-Times.